Apple has today showcased what it calls the “educational revolution” taking place at various schools across the U.S., where students and teachers are succeeding with iPad and Mac. 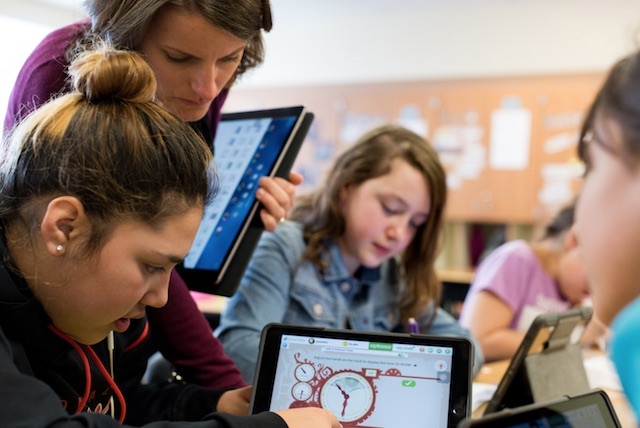 Apple highlights the various programs it funds to help teachers use technology “to enable the students of today become the leaders of tomorrow”. Apple notes that Wilder Elementary and its sister Middle/High School were two of the first 114 schools across the country selected to receive an Apple ConnectED grant, which is bringing millions of dollars in support and technology to underserved schools across America. Every student at these schools has an iPad, every teacher has a MacBook and an iPad mini, and every classroom has an Apple TV and receives technical support. For fifth-grade teacher Stephanie Bauer, that also means she can give each one of her students the attention they need and deserve, regardless of whether they’re working at, above, or below grade level. For more information on schools benefiting from the Apple ConnectED grant, hit up this link, which was shared after Apple’s education event in Chicago this morning.